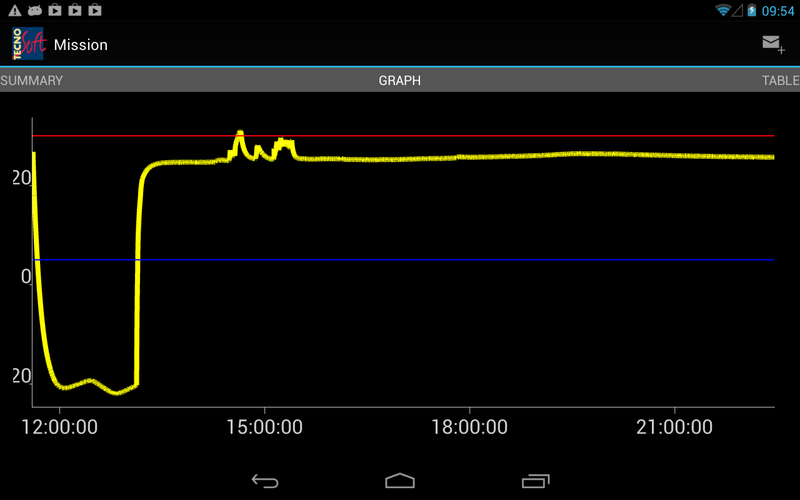 TempNFC Pro is the advanced version of the Android App for the TempNFC temperature data logger management. Temp NFC Pro is the advanced version of the Android App for the TempNFC temperature data logger management, downloadable from Google Play. The other versions of the App are: Lite (free, limited functions, no Cloud synchronization) and Enterprise (free, activated through Tecnosoft Cloud subscription, complete functions). 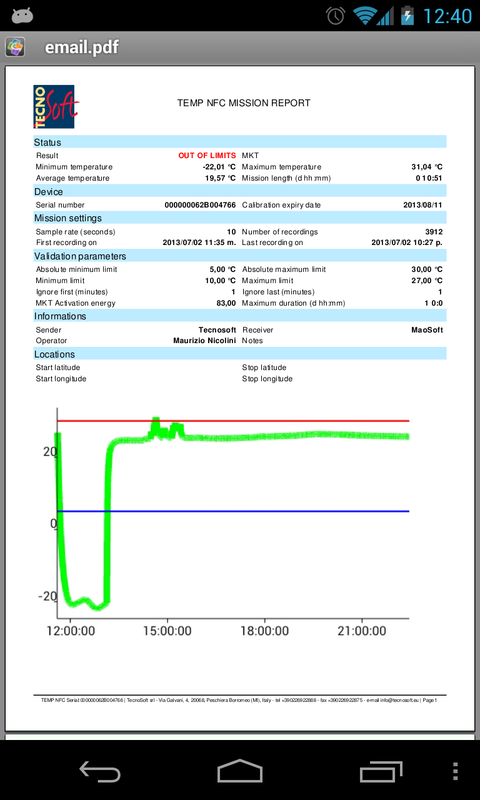 Finally, you can manage temperature monitoring using a Smartphone or a Tablet and INSTANTLY share the readings you downloaded. Minimum and maximum limits, absolute minimum and maximum limits, activation energy for MKT calculation, mission maximum duration, notes and info (sender, operator, recipient), recipient email address for automatic delivery, manual start (start button).